Affected Facebook users will get a notification on the app or website starting Thursday. 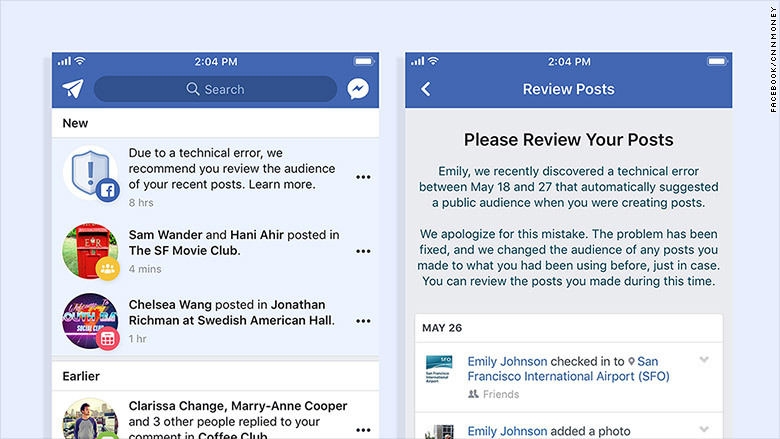 They'll see a message from Facebook urging users to "Please Review Your Posts" and a link to a list of what they shared on Facebook while the bug was active. Facebook posts typically default to the last "audience" a post was shared with, such as family members, friends, or friends except their boss. That default was changed to public for the 14 million users, but if affected users noticed, they could have manually switched the setting themselves. 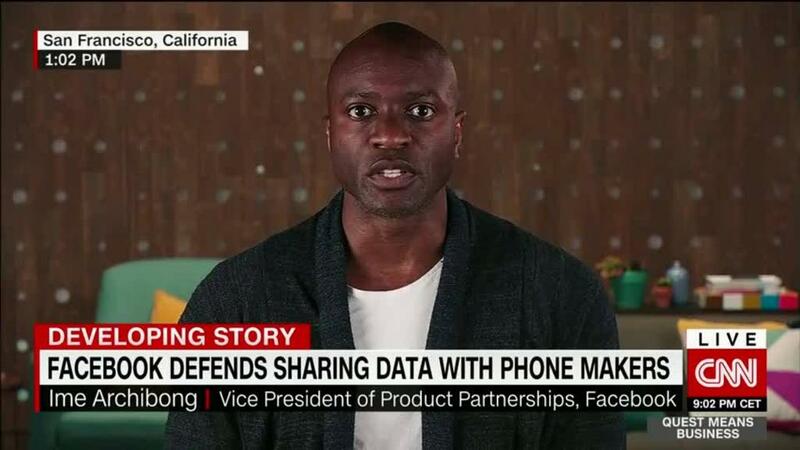 "We recently found a bug that automatically suggested posting publicly when some people were creating their Facebook posts," said Erin Egan, Facebook's chief privacy officer. "We have fixed this issue and starting today we are letting everyone affected know and asking them to review any posts they made during that time. To be clear, this bug did not impact anything people had posted before -- and they could still choose their audience just as they always have."